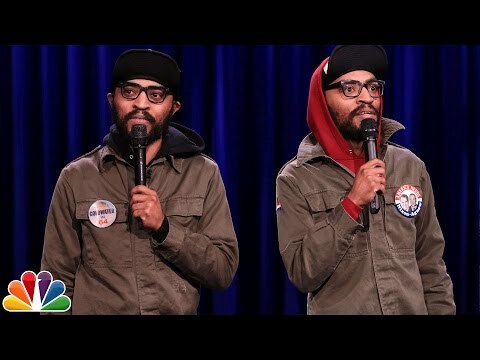 Comedians, actors, and writers the Lucas Bros (Keith and Kenny Lucas) continue their rise as two of the freshest, most dynamic new faces on the comedy scene. “In a short time….the Lucas Brothers have made a big impact on comedy,” lauds Vulture. The guys’ first hour stand-up special The Lucas Bros: On Drugs premiered on Netflix. They were also seen as recurring characters on the hit Netflix series Lady Dynamite starring Maria Bamford. Keith and Kenny are the creators of the animated series Lucas Bros. Moving Co.. The brothers voiced the series’ main characters; narrating hilarious, absurdist tales with, as The New York Times praised, “a disarming sweetness and a clever, stylized casualness.” The brothers also hosted the web series The Super Late Morning Show on ComedyCentral.com. Additionally, the bros starred in two seasons of the weekly sketch comedy series Friends of the People on TruTV, and they were featured in the FOX primetime series The Grinder starring Rob Lowe. They also appeared in the blockbuster comedy feature film 22 Jump Street. More recently, Keith and Kenny were seen in CNN’s The History of Comedy, as well as HBO’s Crashing. The guys made their late night debut when they performed stand-up on Late Night with Jimmy Fallon in 2012 and have been a favorite on The Tonight Show starring Jimmy Fallon since, with multiple appearances. They are also familiar faces on Comedy Central, with appearances on several of the network’s series including The Meltdown with Jonah and Kumail, The High Court, and Adam Devine’s House Party. They were named one of “Variety’s 10 Comics to Watch of 2014,” featured in Rolling Stone Magazine's “Hot List,” appeared on the cult hit TV show Arrested Development as well as HBO's Funny As Hell, and were stand-outs at the prestigious Montreal Just For Laughs Comedy Festival.